Tucked in a quiet lane in Anna Nagar, Arrt n Attire is the brainchild of designer and Chennai-based artist Shilpa Tibrewala. Inspired to bring art into clothing, she decided to set up a boutique showcasing the talent of the Indian weaving community in Chennai. We totally fell in love with the sarees here. Featuring fabrics like tussar, tussar moonga, organza, chanderi, benarasi and kanjeevaram silks, every piece here is one of a kind. What really appealed to us was that little touch of contemporary fashion each outfit here has. Designed with weavers from Gujarat, Varanasi, Tamil Nadu and Andhra Pradesh, these sarees can totally make you look like royalty at every occasion and start from about INR 5000. Arrt n Attire also has some lovely dupattas. 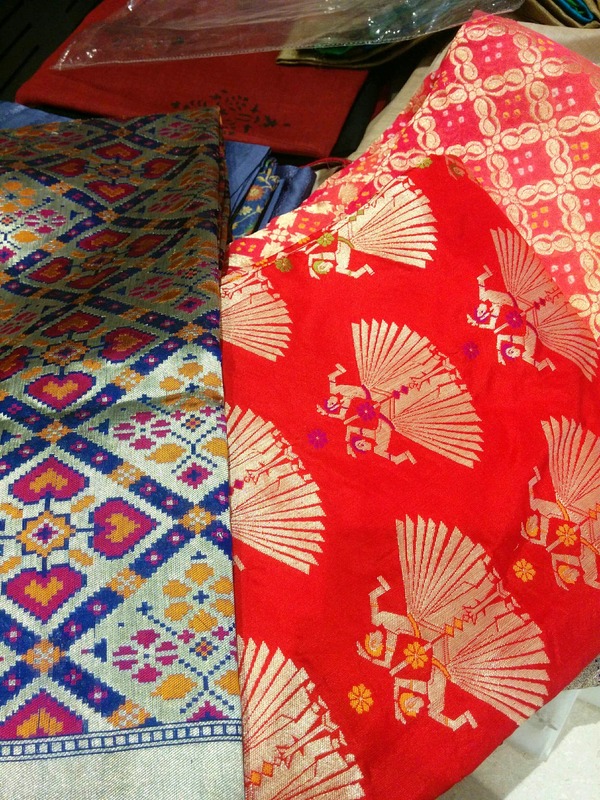 The patola variety is especially rad and features Ikkat prints from Gujarat and Andhra Pradesh. With their intricate weaving and bright colours these can glam up any kurta or plain anarkalis. You should also check out the running fabrics here. Featuring bold brocades, elegant lace, silk, tissue, organza, raw silk, georgette and chiffon (all handwoven again), you can pick them up for your customized outfits. And guess what? You don’t have to go anywhere else for the designing because Arrt n Attire has its own tailoring unit to help you out. From bridal blouses and lehengas to simple anarkalis and salwars, Shilpa can help you pick out the fabrics that best meet your requirements and get them designed for you. You can also pick some ready-made kurtas and linen salwar fabrics here. Featuring subtle colours with light work and interesting prints and cuts, these start from about INR 2500 and can double up as both office and semi-casual wear.